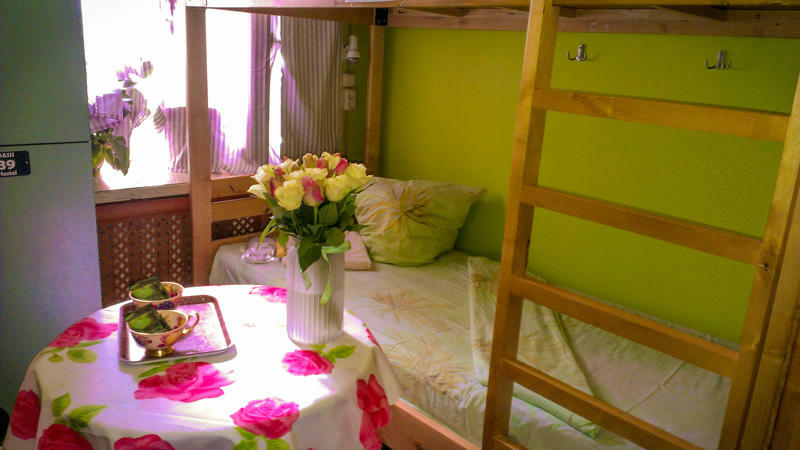 Our Hostel is located in the HEART of Moscow. It is a short walk to all the major tourist attractions (Red Square, Kremlin, Pushkin Square, Bolshoi Theatre, Old Arbat and etc.) The nearest Metro stations ('Pushkinskaya', 'Tverskaya', 'Chehovskaya') is 3 minutes away. This district is the safest place in Moscow. There are a lof of restaurants, cafes, night clubs, theatres, supermarkets. Unlike other moscow hostels, you get FREE registration (if you stay more than 1 night in our hostel). OUR PRICES are real for our location you can walk to everywhere on foot. Low price is not guarentee of good location. If you need a tourist voucher for Russian visa, please write us about it . From the Sheremetyevo airport there is Aeroexpress train going to Belarusskaya metro station, it takes 35min and it costs 350 rub. From Belarusskaya its only 2 stops by metro (UNDEGROUND) to Tverskaya metro station. From the Domodevo airport there is bus goes to Paveletskaya train staition. From Paveletski there is 3 stops till Tverskaya staition by metro. From Vnukovo airport there is Aeroexpress Train goes to Kievskiy train station. From Kievskaya metro station you need to go for Krasnopresnenskaya station then you need to change the line and go for Pushkinskaya station one stop.